A luxury item for your toothbrushes and toothpaste. 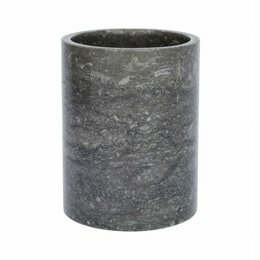 That is what this toothbrush holder Lya made of gray marble is. 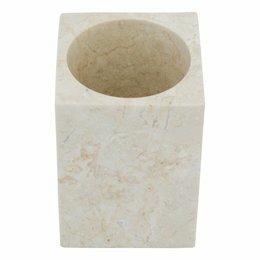 With a marble toothbrush holder you have a nice and hygienic place for your toothbrushes because they do not touch each other. LxWxH 10x10x11cm. 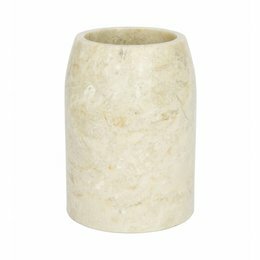 A beautiful toothbrush cup made from one piece of cream marble where you can put your toothbrushes or a few tubes of toothpaste in. Dim. is 8 x 8 x 11 cm. 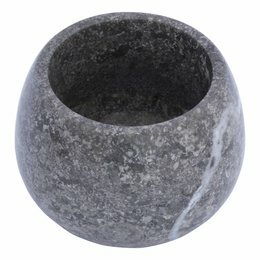 A beautiful cup needed for your toothbrush instead of them lying loose on the sink. 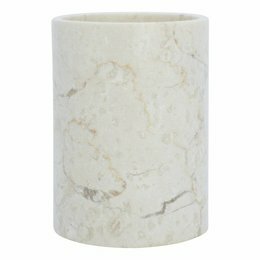 Then this cream marble toothbrush cup is exactly what your bathroom needs. 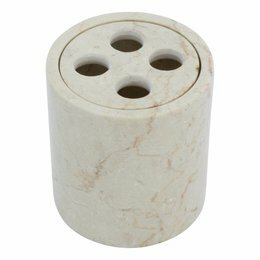 This toothbrush holder is made of marble with a rough appearance but because of its sandblasted exterior it has a smooth-feeling surface. 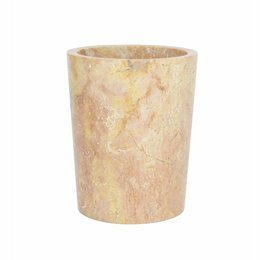 This cup for your toothbrushes made of java rose marble from our Java set is with its beautiful pink colour a nice accessory for your bathroom. 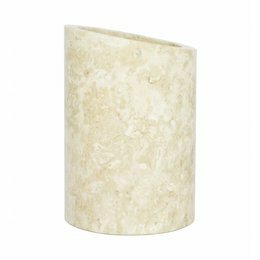 With its sloping edge, this toothbrush cup is a nice addition to the bathroom. 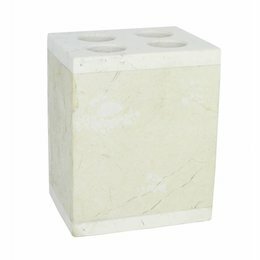 Made of polished cream marble in Indonesia for you. 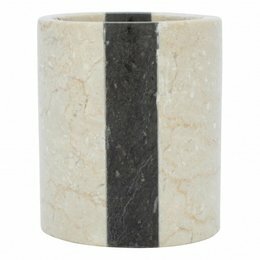 Toothbrush cup made of Java Rose marble so your toothbrushes no longer lay loose around your sink. Length x Width x Height 8 x 8 x 11 cm. 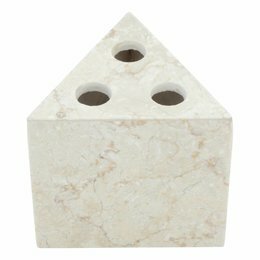 Triangular Toothbrush holder made of cream marble from our Batu set. This holder for three toothbrushes forms a whole with the rest of the set. 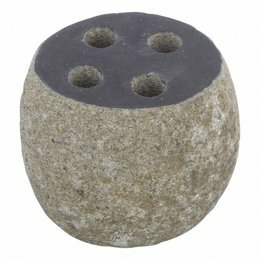 Natural stone cups for storing your toothbrush. 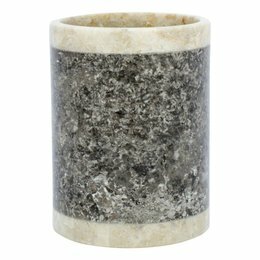 Bring nature into your home with these beautiful toothbrush cups made of marble, petrified wood, onyx and river stone in different colors and designs. 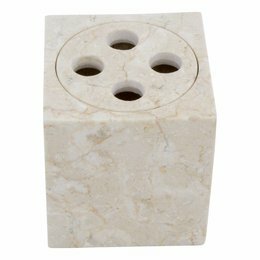 All these toothbrush holders are part of our bathroom accessory sets but can also be ordered separately. 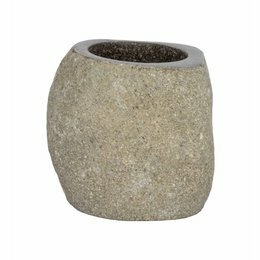 If you want a nice luxurious and comfortable look for the bathroom, put one of our beautiful cups together with other stone accessories or perhaps a whole set. 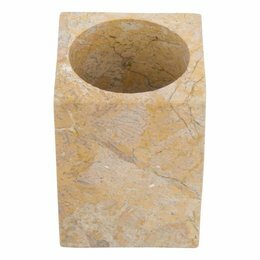 All our marble, petrified wood, onyx and river stones come from Indonesia, where craftsmen process these beautiful natural stones by hand.